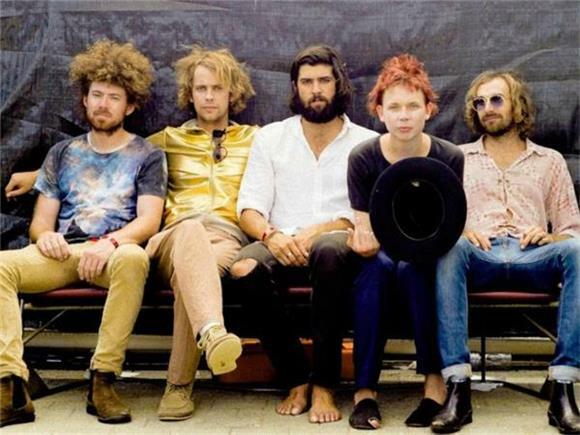 Australian band Pond has been making their specific brand of psychedelic rock-pop since 2008, and have had fairly consistent success. The group is composed of three of the members of Tame Impala and shares many of the same musical tendencies. Their newest song "30000 Megatons" was originally slated to appear for the first time on their album, but according to the band, "today it seems like the right time." The song deals with ideas of nuclear war, as well as a profound lack of faith in humanity, two things that have been on a lot of people's mind in the last couple days. The song builds with a piano and some quiet reverb, before crashing into a soundscape of reverb-soaked vocals and synths. These densely packed sounds create an almost oppressive environment, all the while adding with more robotic sounds and more chaotic instruments building towards a wall of reverb that then gives way to gentler sounds. It's a strong trajectory of sounds that makes the song compelling and powerful. Coupled with the context around the lyrics, this makes for an interesting and moving experience.